Are you thinking about replacing your old carpet? You're not alone! Carpet flooring has been one of the most popular flooring options in homes for decades. Its soft texture and aesthetic appeal are just two of the many reasons why homeowners continue to choose carpet for spaces such asbedrooms, family rooms, and more. If you are looking for discount carpet in Marrero, LA so you can affordably improve and enhance your home, turn to Acadian Flooring America! 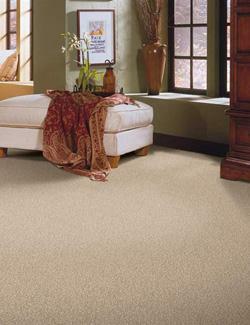 Our discount carpet only features selections from reputable and quality flooring brands. Marrero LA: Cash & Carry Carpet Flooring! Our discount carpet store carries a wide range of carpet on-hand and in-stock. This means that once you select the perfect solution for your needs and home, you can go home with new carpet that very day! Our team of flooring experts include in-store associates and installation technicians. You'll be able to look to us for guidance through the entire flooring process, including selection and installation! Our carpet installation for Marrero, Louisiana and the surrounding areas is backed by the Ultimate Confidence Guarantee. You can depend on the quality of our work because if you aren’t satisfied with your new floors, we’ll replace them for free! Think the discount carpet from Acadian Flooring America is the ideal solution for your home? Contact us using the on-page form and learn more about the different types of carpet flooring available at our local store! We proudly serve clients from Marrero, Westwego, Avondale, Harvey, and the New Orleans Metro area, Louisiana.